Premier Roof Systems was founded in 2011 by two local industry professionals Jamie Blackwood and Chris Mullen. In the past five years we have built a team of hardworking individuals who manufacture and install high performance systems in the construction industry to improve people’s home living experience. We specialise in all types of conservatory roofing projects and have a team of professionals on hand to take care of any and every situation. Our reputation has been built on reliability and a high level of quality. 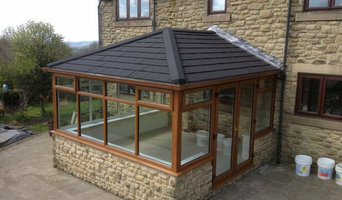 Solid conservatory roofs are just one of the many products we offer. We are South Tyneside’s only Guardian Warm Roof manufacturer and would be more than happy for you to visit our factory to see exactly how we design and build the Guardian Roof system. We have built a great relationship with our trade customers and homeowners since the birth of Premier Roof Systems and our mission is to strive for the best customer experience. If you are looking for a reliable, friendly and competent conservatory roof manufacturer and supplier, contact us today! Snugfit is the one stop shop home improvement centre in South Shields area. You can find everything you are going to need for your home improvement needs under one roof. If you need kitchens, bathrooms, UPVC windows and doors, conservatories, heating or building work, then pay a visit to our showroom today. We use a team of highly experienced tradesman who have a level of knowledge and experience that is second to none. If you are looking for anything from a small tiling job, to a kitchen refit, to an entire home refurbishment then we are the team for you. Call us now for more information on 0191 456 5000 or visit our Franklin Street showroom. North East Conservatory Solutions a leading company in bespoke conservatory roof fabrication based in Gateshead, Tyne & Wear since 2007. With a reputation for excellence and many years installation and fabrication industry experience NECS can understand your requirements and create almost any size and shape new or replacement roof. Renovating your home in Newcastle and surrounding Northumberland. 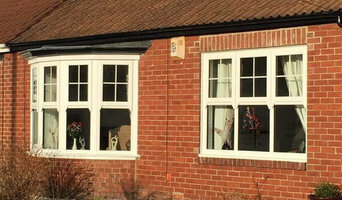 For the past 21 years our family run business has been supplying and installing a comprehensive selection of windows, doors, bathrooms, conservatories, kitchens and bedrooms. We pride ourselves on our professional and friendly service and our expert advice is always available should you require it. Products are available in a wide range of styles and colours and come with a comprehensive 10 year guarantee. Whether you're just looking for replacement windows or require complete home interior renovations, Stormshield offer a personal service which is tailored made to your needs. 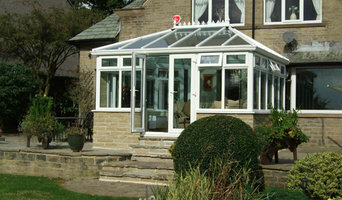 Providing conservatory design, construction and repairs throughout North East England. David Proud is a dedicated professional joiner with over 24 years experience, and is the original designer of the Thermolite Roof. David has had contracts with Rok Construction, Dorin Construction, Mansel Construction and Derwentside Homes. David is passionate about his work and is dedicated in helping potential new customers transform their homes at a fraction of the cost of moving house In 2009 David came up with the idea whilst sitting in his own conservatory of transforming conservatories into a more habitable room which could be used all year round. David sourced all the best materials on the market and used his own conservatory as the prototype for the internal insulation conversions. David leads a team of joiners, all experienced time serviced who are very professional in their roles and are dedicated at producing good quality craftsmanship. Welcome to Solar Windows & Conservatories, we offer a full range of products which will enhance the beauty of your home. In all of our products we offer a wide range of colours and finishes to compliment any existing features. A conservatory is a great investment in your home and will be enjoyed all year round. 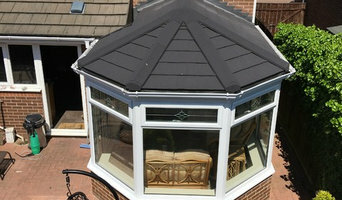 If you are looking to add value to your home then the Guardian Conservatory Roof is the perfect addition. As part of our service we also build orangeries. We install in Newcastle and throughout the North East. Building a conservatory, sunroom or orangery can be quite a substantial project, so it’s a good idea to hire a professional designer or specialist conservatory builders in Newcastle upon Tyne, Tyne & Wear who have a lot of experience with conservatory installation or constructing bespoke glass extensions. Although the advantage is that with a conservatory planning permission isn’t always needed. With Houzz you’ll be able to see examples of pros’ previous conservatory or orangery designs, so you can determine which Newcastle upon Tyne, Tyne & Wear conservatory specialists will be best suited to your project. You can easily find contact details on the professionals’ profile pages and then you’ll be able to receive conservatory costs and quotes for construction or installation. How should I plan my Newcastle upon Tyne, Tyne & Wear conservatory, sunroom or orangery project? You will first want to determine how much outdoor space you have available to build your conservatory and then what you’d like the dimensions to be. Conservatory planning permission is not needed if your extension meets the government’s guidelines on conservatory projects, so it is best to check these before deciding on the size and style of your new conservatory installation – professional conservatory builders in Newcastle upon Tyne, Tyne & Wear will be able to help you with this, too. If your Newcastle upon Tyne, Tyne & Wear house is within a designated area (including national parks and conservation sites) then there are further restrictions which could affect your choice of conservatory materials and styles. Once you have determined the dimensions and have an idea on what conservatory styles and materials will be feasible, then you can begin to find your ideal Newcastle upon Tyne, Tyne & Wear conservatory designer by browsing the designs, photos and reviews on Houzz. You can look through their portfolios, see previous projects, ask questions, find out their average conservatory cost, look at their own website and contact them directly to discuss your sunroom, orangery or conservatory installation. What should I ask a prospective sunroom specialist or conservatory builders in Newcastle upon Tyne, Tyne & Wear? Find a conservatory, sunroom or orangery designer on Houzz. Narrow your search in the Professionals section of the website to Newcastle upon Tyne, Tyne & Wear conservatory, sunroom and orangery designer. You can also look through Newcastle upon Tyne photos to find a conservatory, sunroom or orangery that you like, then contact the designers or conservatory builders in Newcastle upon Tyne, Tyne & Wear who worked on it.